Annual Sales of EVs Exceeds One Million. When summing up 2017, it should be noticed, that it was the first year, when annual worldwide sales of EVs (electric vehicles, both battery only and plug-in hybrid electric vehicles) exceeded 1 million vehicles. The exact numbers are not yet available, but it looks to be well over 1.1 million EVs. By far most of the EVs, about 580,000 were sold in China. 200,000 EVs were sold in United States, and about 305,000 were sold in Europe. All in all, an estimated 78.6 million cars were sold in the world 2017. Thus, the EVs represent only a small percentage, 1.4 %, but it is significant considering the growth trend. 2017 EV sales was up 48 % over 2016, 110 % over 2015 and 255 % over 2014. 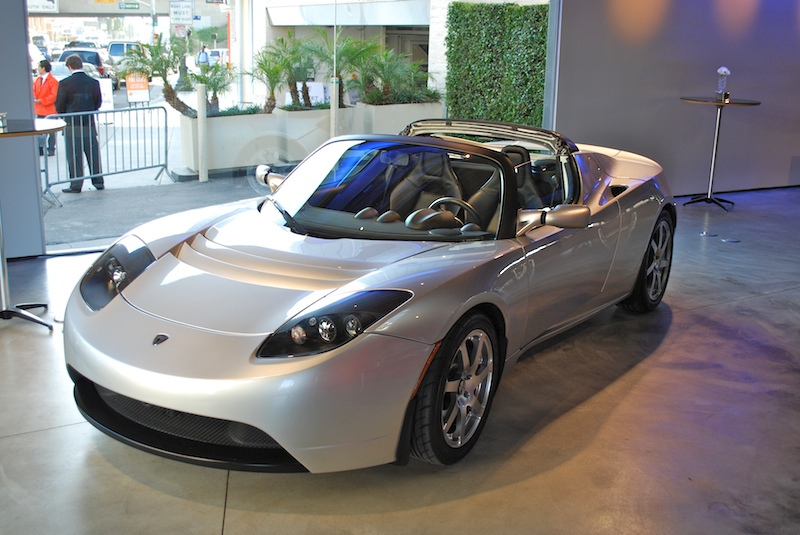 Tesla Roadster, launched in 2008, came with 53 kWh battery with a 244 miles range. The U.S. got first out in the new wave of EVs, enabled by lithium ion batteries, when Tesla Roadster started in 2008. By January 2010 Tesla Roadster accumulated sales reached 1000 vehicles, but what made the EV market to really get going was when the first large automotive companies got into it. In December 2010 GM started selling Chevy Volt and Nissan started selling Leaf. For the first two years, 2010 and 2011, close to 22,000 EVs were sold, out of which 44 % were Nissan Leaf and 36 % were Chevy Volt. Three years later, 2014, annual EV sales exceeded 100,000 cars. There is no lack of car models to choose from. In fact, there are more than 25 models available to the U.S. customers. 5 car models, Tesla Model S, GM Chevy Bolt, Toyota Prius Prime, GM Chevy Volt and Tesla Model X, each exceeded 20,000 in sales 2017. All indications are that the growth will continue, especially with the $7500 federal tax credit extended. It was supposed to expire by the end of 2017, but eventually got included in the new tax bill. However, the tax credit remains capped at 200,000 cars for each manufacturer. China, which is the world’s largest automotive market, is also the leader in EVs. In addition to the EV cars there are also many EV buses, 115,700 sold in 2016. Both the central government and local governments financially support the new energy vehicles (NEV), which in addition to EV also include fuel cell cars. The central government gives up to 10 % tax rebate to buyers of NEV. The exact amount depends on size and performance of the vehicle. This rebate was scheduled to expire by the end of 2017, but got extended to 2020. The Chinese EV market has attracted a large amount of domestic companies as well as some imports. With reportedly 48 models available the market looks somewhat fragmented, but some brands like BYD start to stand out. The best-selling car in 2017 was BAIC EC180, a so called “micro car” with a 20-kWh battery and a 112 miles range. Also in Europe the growth of EVs has been strong, an increase of over 100 % from 2016. Norway strengthened its position as the world leader in percentage of EVs. 49 % of all new cars sold in 2017 were EVs. Nevertheless, the most interesting development is in Germany, where EV sales doubled to over 55,000 vehicles. There is no doubt that the German automotive industry after the “clean diesel” debacles has become very serious in gearing up for EVs. All major German car companies have already several models available and many more are in the pipeline. 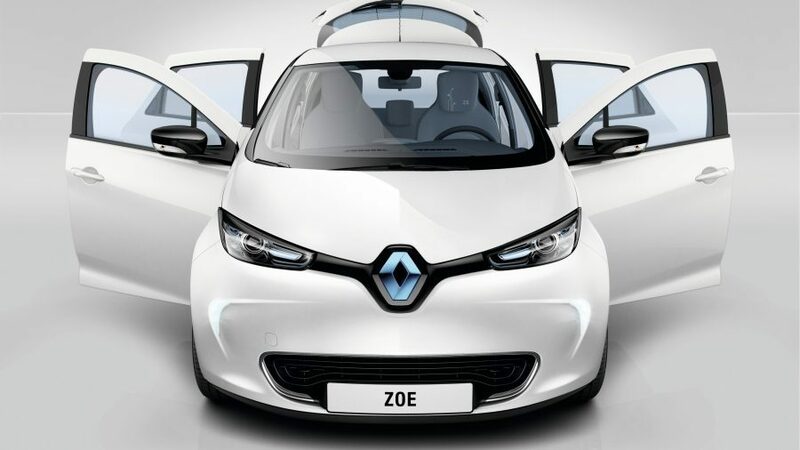 Renault ZOE, best selling EV in Europe 2017, comes with a 41 kWh battery and a 250 miles range. Trying to figure out what to expect and what to look for going forward, comparing the EV development with Toyota Prius, the parallel hybrid (“non-plug-in”) electric car, development may give some indications. Toyota launched sales of the Prius in 1997. The break-through technology was the nickel metal hydride (NiMH) battery giving the cars great fuel economy, over 40 miles/gallon. By 2004 the annual sales exceeded 100,000 cars. In May 2008 accumulated sales reached 1 million cars. 2 years later, 2010, accumulated sales had doubled. By January 2017 it had exceeded 6 million cars. With annual sales around 500,000 and on its Fourth Generation, Prius family, with a variety of models, has become well established as a “mass-market” car. Looking out near-term, 3-5 years, it is likely that the present EV growth trends will continue. Next milestone to look for will be the first individual car model exceeding 250 000 units in annual sales. It would indicate initial sign of “mass-market” traction. Looking further out, 10–20 years, it is much harder to predict. I would caution against trying to just extrapolate present growth trends. Much more can happen, for example in battery technology and by climate policies. A break-through for low cost solid state batteries coinciding with a serious effort to decarbonize the transportation sector by substantial carbon taxes or other means would accelerate the growth of EVs. In other scenarios, with limited battery technology progress and no or small incentives for carbon reduction, there may still be growth, but much smaller.